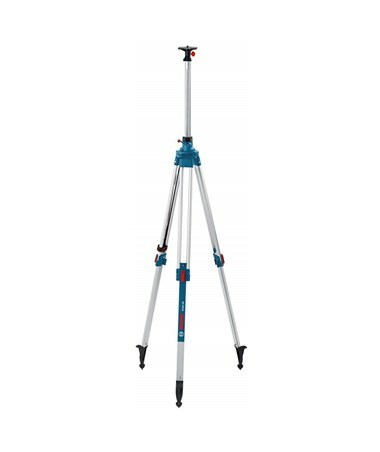 The Bosch Heavy-Duty Aluminum Elevator Tripod is designed to provide overall elevation as high as 130 inches. It has adjustable legs with quick clamp locking system that allow height extension of up to 110 inches. Featuring a two-section elevating center column with metal gear rack system for smooth and continuous motion, it offers additional 20-inch height and ensures accurate height adjustment. 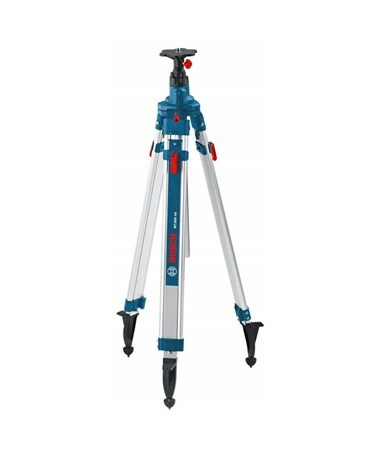 This heavy-duty elevator tripod by Bosch is made of heavy-gauge aluminum material with electrostatic powder-painted casting for superior durability and abrasion resistance. It is equipped with pointed metal feet that work great on uneven terrains. With removable rubber feet covers, it maintains stability when used on hard, slippery surfaces making it ideal for both indoor and outdoor applications. 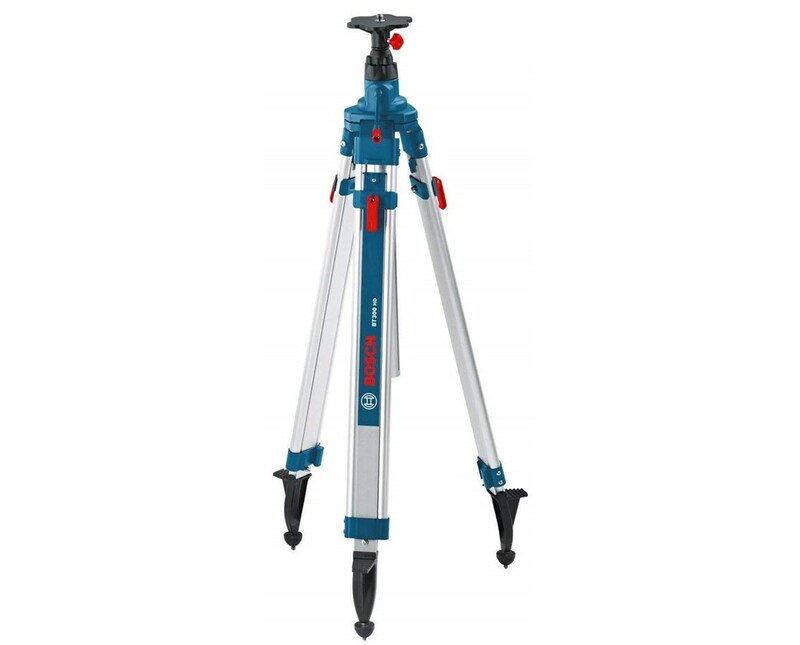 To ensure consistently precise alignment, the Bosch Heavy-Duty Aluminum Elevator Tripod comes with a string hook for plumb bob attachment. It has a flat head with 5/8-11 thread stud that can accommodate most construction lasers and other surveying equipment. For guaranteed portability, it collapses to 47 inches and includes a poly webbing shoulder strap. Extended Length 110" (2.79m) up to 130"